Our Ancestors - The Murosky & McDonald Ancestral Lines: Happy 241st Birthday U.S. Marine Corps! Happy 241st Birthday U.S. Marine Corps! "Each year on or around 10 November, Marines gather in groups large and small to celebrate our history, honor the memory of those who have gone before us, and rekindle the bond that unites all generations of Marines. This year, we mark the 241st anniversary of our Corps—241 years of uncommon valor, innovation, and combat excellence." As we honor the memory of Marines we also honor the memory of two family members. 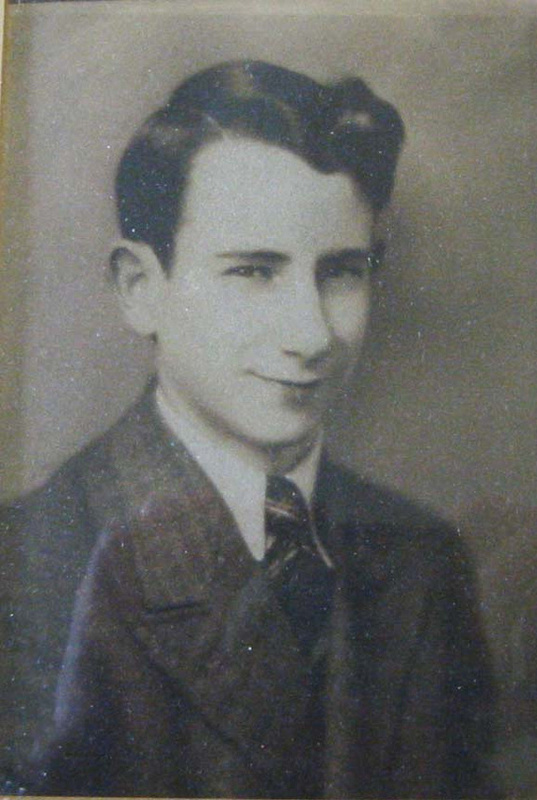 Robert Aloysius Haggerty was born July 24, 1927 the son of Charles Alfonso Hagerty and Iva. He served as a staff sergeant (SSgt) in the US Marine Corps in WWI. Robert died on March 10, 1979 and is buried at the Houston National Cemetery. Ambrose Aloysius McDonald, Jr. was born 02 Oct 1919 in Pittsburgh, Allegheny County, Pennsylvania. He was the son of Ambrose Aloysius McDonald, and Gertrude Anna O'Neill. 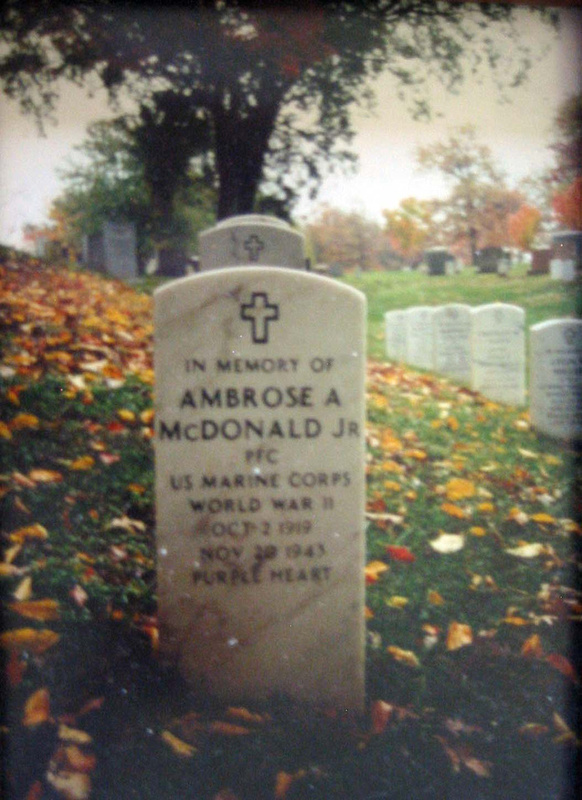 After the outbreak of WWII Ambrose volunteered for military service and joined the U.S. Marine Corps. He was killed by enemy fire in Tarawa in November of 1943, at age 24, upon landing on the beach. He earned a Purple Heart for his service. In addition to being remembered at the Tablets of the Missing at Honolulu Memorial in Honolulu, Hawaii he also has a memorial in Arlington National Cemetery thanks to his sister Virginia McDonald Geary. Ambrose is featured in the blog post A Letter from Tarawa. His commanding officer Capt. Martin F. Barrett, U.S.M.C. of F. Company, 2nd Battalion 8th Marine Regiment wrote a heartfelt letter to Caroline Loretta O'Neil - Ambrose's aunt. Copies of these photographs were shared with me by Virginia McDonald the sister of Ambrose McDonald. Editing and digital restoration by Michelle M. Murosky. Robert Aloysius Hagerty is my 2nd cousin, 3x removed. His father Charles Alfonso Hagerty is my 1st cousin 4x removed. Ambrose Aloysius McDonald Jr. and Virginia Dorothy McDonald are my1st cousins 3x removed. They are the children of Ambrose Aloysius McDonald my 2nd great uncle and Gertrude Anna O'Neill my second great aunt. A double marriage took place between the McDonald and O'Neill families. Caroline Loretta O'Neill is my 2nd great aunt.